At The Beauty Rooms and Day Spa which is centrally located in Motueka, our goal is to totally remove you from the strains of your everyday life and transport you to a stress free zone. 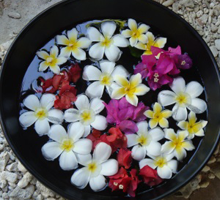 Our mission is to help you escape from daily worries and stress while revitalizing your mind, body, and soul. 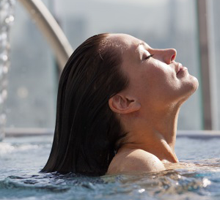 Our Beauty Treatment rituals and well-being focused Body and Spa rituals are designed to help you unwind and revitalise in an energising and serene atmosphere and we hope you leave feeling refreshed and rejuvenated. At The Beauty Rooms and Day Spa Motueka we offer you a complete day spa retreat experience without having to travel to Nelson. Our focus is on privacy, luxury and attention to detail with every client; we love creating the perfect getaway so you can escape the everyday stresses of life and enjoy the magic of professional spa services. You’re guaranteed to find exactly what you’re looking for with our full range of services at The Beauty Rooms and Day Spa. 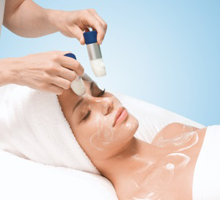 Our treatments include: Facials, Microdermabrasion, Derma Micro-Needling Body Wraps, Body Massage, Full Body Exfoliation, Manicures, Pedicures, Eyelash and Eyebrow Tinting, Spray Tanning, Waxing, Electrolysis, Make-up, Weddings, Spa treatments as well as IPL treatments for hair removal and skin rejuvenation. Our product ranges include Dermaviduals Thalgo, St Tropez, Pure Fiji, Jane Iredale and Creative Nail.